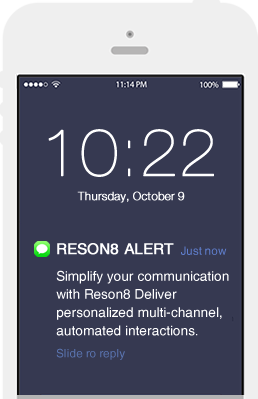 Reson8 is a complete SMS solution enabling organizations to provide mobile messaging facilities to their personnel and corporate information systems using existing infrastructure and line of business applications. Reson8 Online is the web based service to easily and cost effectively to plan and send SMS to customers and personnel for marketing, notifications or alerts. Get FREE SMS every time you use Reson8. Reson8 offers web services based and HTTP API based access for enterprise and independent developers to enhance their applications with SMS messaging. UCS also provides sample codes to help developers easily integrate Reson8 into the applications. With built-in templates, support for multiple languages, contact and group management, messaging scheduling, extended messaging and detailed reporting, it's a comprehensive web based solution to meet your mobile communication needs. 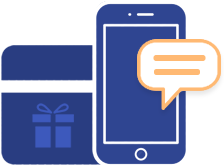 An enterprise level SMS platform provided by UCS provides you with high-level flexibility in deploying a messaging solution. It consists of a Enterprise Web Interface, and Enterprise communications platform. Also has a free Excel plug-in which can be used to send SMS messages directly from Microsoft Excel 2011 and above. Using this plug-in the user can send personalized customized messages. The Windows desktop client allows you to send SMS messages directly from your Windows desktop. It provides functionality to send personalized SMS messages. A Windows service that can connect to n-number of modems and read messages from them and store them into a database/excel/sheet/csv files. Visit Reson8.ae and get your free 30-day trial! Reson8 Online is the Web based option to easily and cost effectively send SMS to customers and personnel for marketing, notifications or alerts.